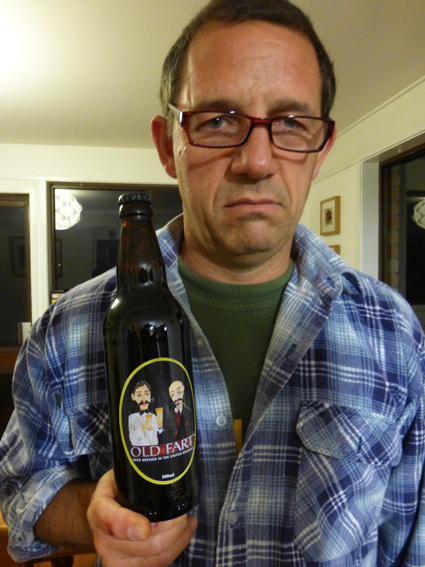 As I start my next half-century on the planet, I thought it only right that I review an age-appropriate beer. Some people may be offended to given a bottle of “Old Fart” for their 50th birthday, not I …… I say, ‘bring it on’, Victor Meldrew, here I come. I was pleasantly surprised by this traditional English brew. For a start it looks so bright and young when poured into the glass, clear shiny bronze with nice tight but soft bubbles. It’s a nicely balanced ale too, bittersweet and easy drinking with toffee undertones, it tastes like it was just pumped out the keg in a Yorkshire pub. Old Fart won’t blow your head off, it won’t even blow your mind but it will blow the cobwebs out after a hard day’s labour and, like most farts, is surprisingly satisfying. Here’s Jimi Hendrix with ‘The Wind Cries Mary’ ……………. 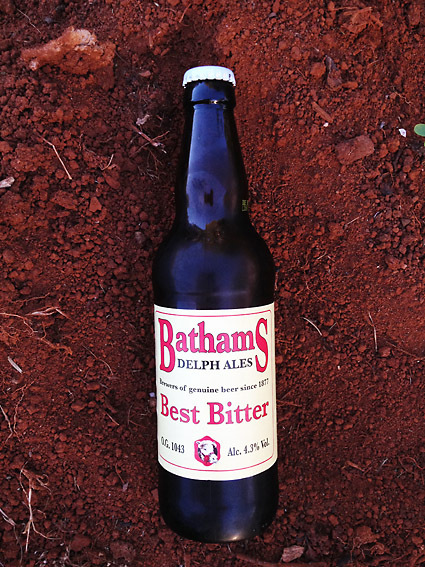 ‘Brewers of genuine beer since 1877’, so reads the label of Bathams Delph Ales Best Bitter. Imagine my surprise then when I knocked the top off and poured out what can only be described as ‘lager’. ‘Lager is as lager does’ as Forest Gump once said, and this so-called ‘best bitter’ is pale straw in colour and has the malty smell of the aforementioned amber nectar. Now maybe this doesn’t travel too well, but I brought this all the way from the UK, a gift from my baby brother. May be it’s his idea of a joke, but damn me if this doesn’t taste like a lager too! A real Trojan Horse of a Best Bitter, with a prize bull on the bottle top. No prizes for the bull, I’m gonna play it safe and go for a stout tomorrow!